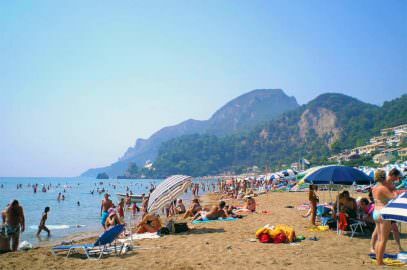 Agios Gordios is the summer resort of the beautiful village on the hill- Sinarades. 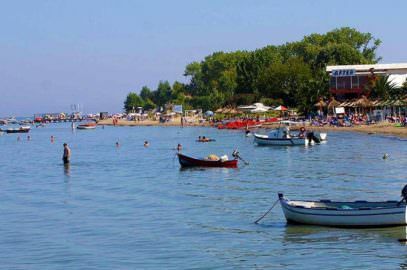 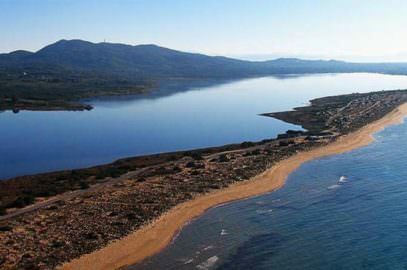 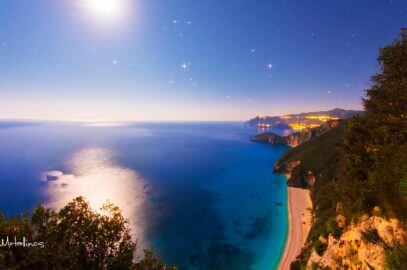 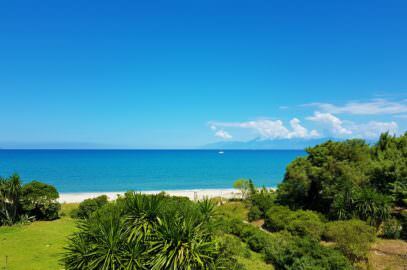 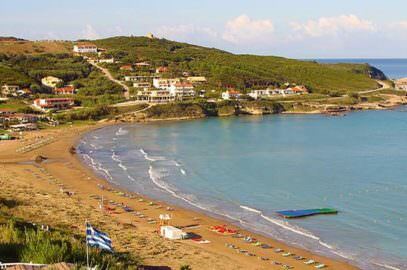 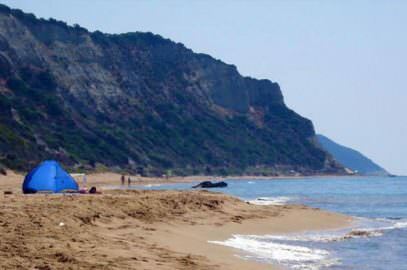 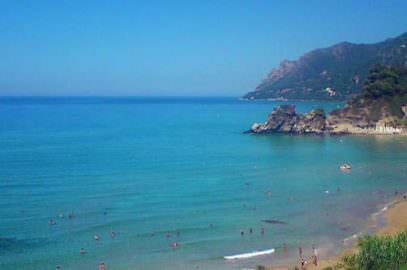 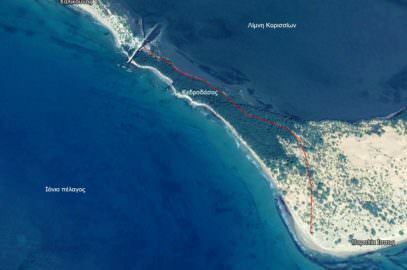 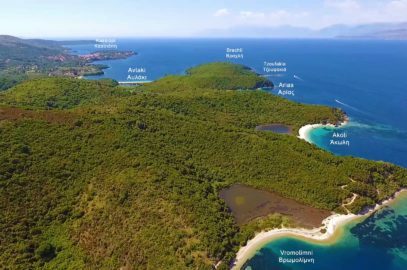 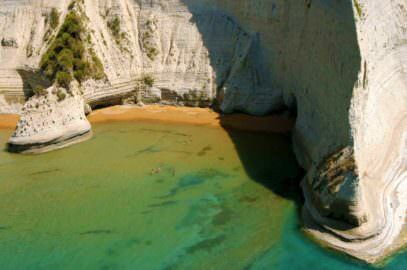 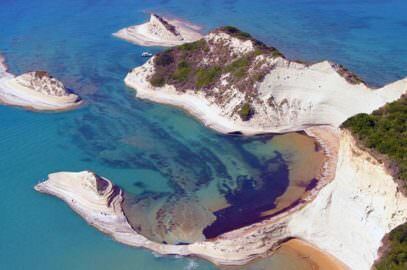 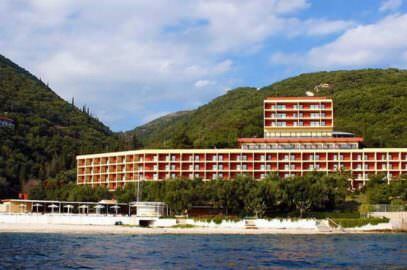 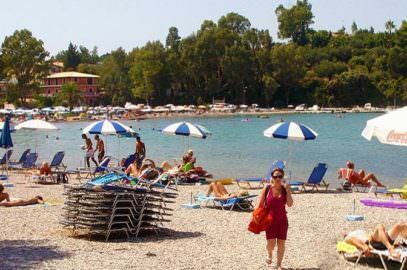 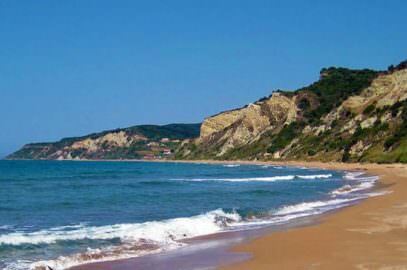 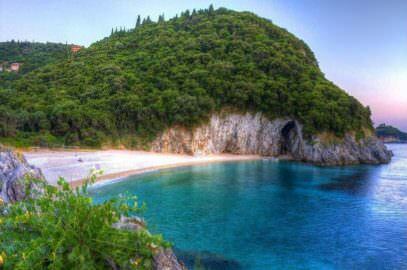 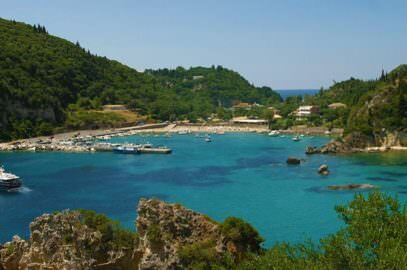 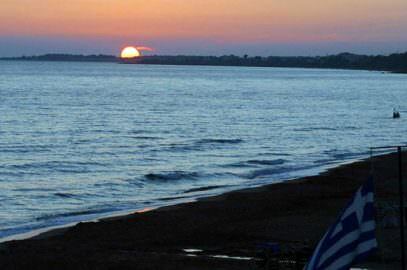 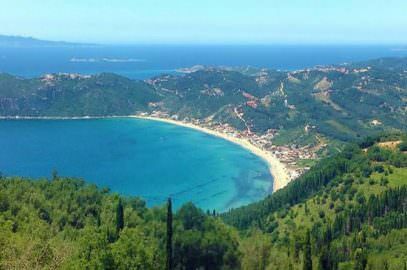 It lays at the exact center of west coast of Corfu, opposite Benitses and in a distance of 14 miles from Corfu town. 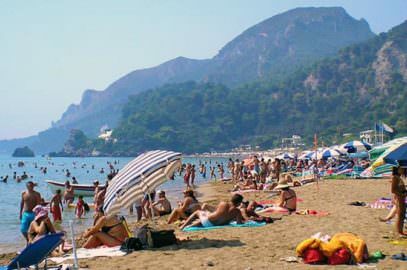 Agios Gordios used to be where the villagers grew their crops, but now it is a bustling resort with a good choice of hotels, villas and apartments. 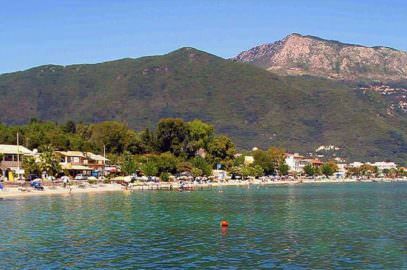 Souvenir shops are found in the single street which leads to the beach. 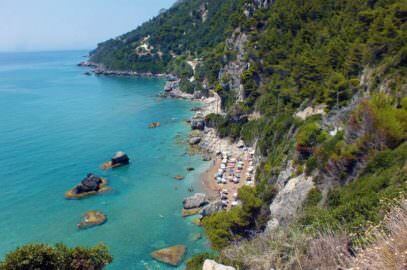 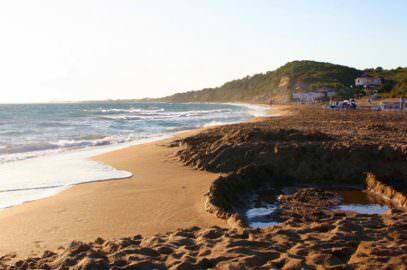 The Agios Gordios beach is a long wide sandy stretch, one of the best beaches in Corfu, offering water sports and plenty of entertainment in the bars and tavernas along its length. 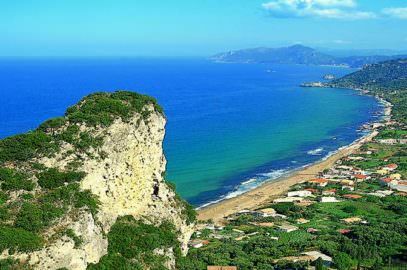 The scenery of St Gordios or St Gordis is beautiful, with high cliffs surrounding the beach, especially these on the south. 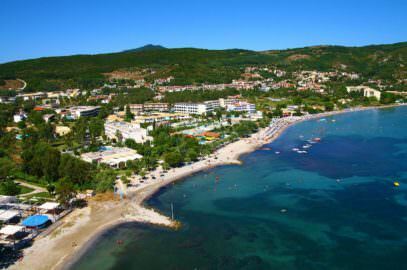 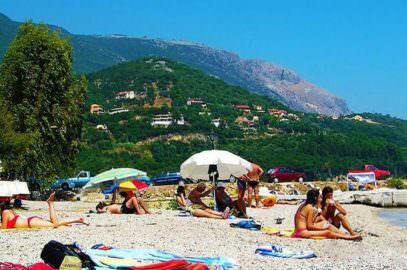 The sand is fine and clean, waters are much warmer than those further north near Paleokastritsa, and is a good place for families with children. 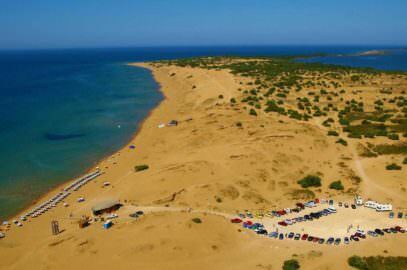 The only drawback is the lack of enough parking areas, it is difficult to find a parking lot if you drive here especially in July and August. 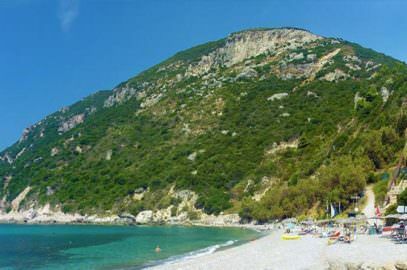 Above the beach at the northern end is Aerostato- a superb viewpoint over the coastline- watch the sun sink into the sea. 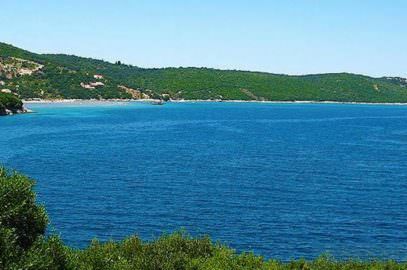 Explore the old village of Sinarades, with its excellent folk museum, but also walk up the lane to Kato Garouna, branching off to Pentati, which overlooks the bay from the southern end. 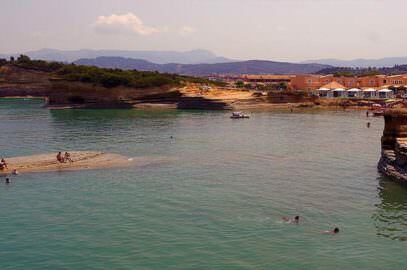 Wherever you go there will be bars offering refreshing drinks and simple but good home cooked meals.